Heeft u een vraag voor Bestay Hotel Express Xian Jiefang Road? Gesitueerd in het gezellige Stad Centrum, geniet het Bestay Hotel Express Xian Jiefang Road in Xi'An een goede reputatie onder reizigers met een interesse in bezichtiging van bezienswaardigheden, cultuur, winkelen. Op slechts 48 km afstand, kan dit 3-sterren hotel eenvoudig worden bereikt vanaf het vliegveld. Niet minder uitzonderlijk is het feit dat zoveel attracties en monumenten in de buurt liggen, zoals MinLeYuan BuXingJie, New Mart Shopping Plaza, Xian Huayi ziekenhuis. Het Bestay Hotel Express Xian Jiefang Road biedt tevens vele faciliteiten om uw verblijf in Xi'An zo aangenaam mogelijk te maken. Terwijl u verblijft in deze geweldige accommodatie, geniet u van faciliteiten als 24-uur roomservice, gratis wi-fi in alle kamers, 24-uur receptie, snel in- en uitchecken, bagageopslag. Alle accommodaties beschikken over doordachte voorzieningen om een ongeëvenaard gevoel van comfort te garanderen. Daarnaast garanderen de talrijke recreatieve mogelijkheden dat u zich tijdens uw verblijf kunt vermaken in het hotel. 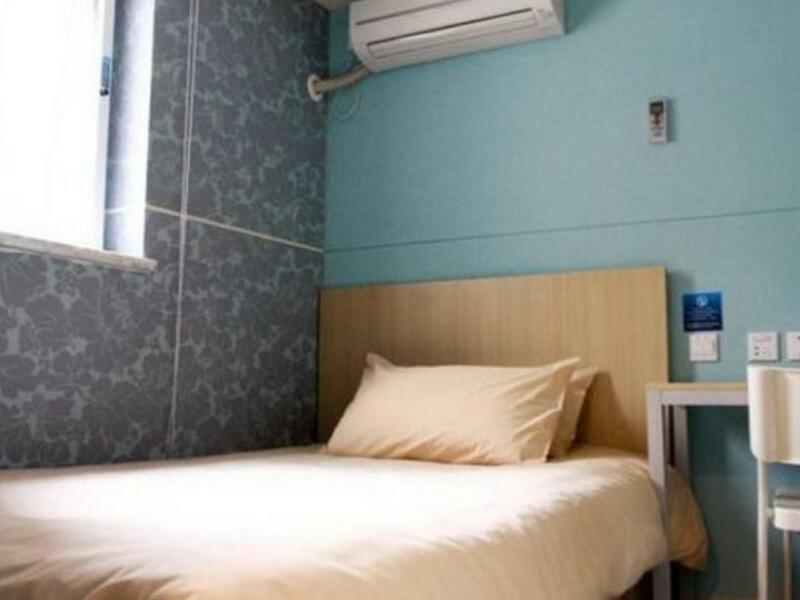 Als u zoekt naar comfort en gemak in Xi'An, dan is het Bestay Hotel Express Xian Jiefang Road uw thuis ver weg van huis. Het verblijf in Bestay Xi'An was zeer aangenaam. De kamer was klein maar van alle gemakken voorzien, alleen de handboeken waren klein. De locatie is perfect, je loopt in 15 minuten naar het oude centrum en om de hoek is een busstation voor verdere bestemmingen. Ook het personeel was heel hulpvaardig, ondanks dat ze geen Engels spreken kan je elkaar toch begrijpen via een vertaal programma dat ze gebruiken. Ook is er een gratis te gebruiken wasmachine, dit is voor backpackers met een tas vol vieze kleding een zeer fijne bijkomstigheid! The service of staff was auful!! We needed help and they didn't help anything us!! The hotel is about a 15 minute walk from the Xi'an train station and 5 minute walk to Wulukou subway station. The room is basic but fine. The non-smoking room still smells like cigarette smoke though. Ok for budget travel. Hotel is clean. A bit small. The hotel fits all my needs. 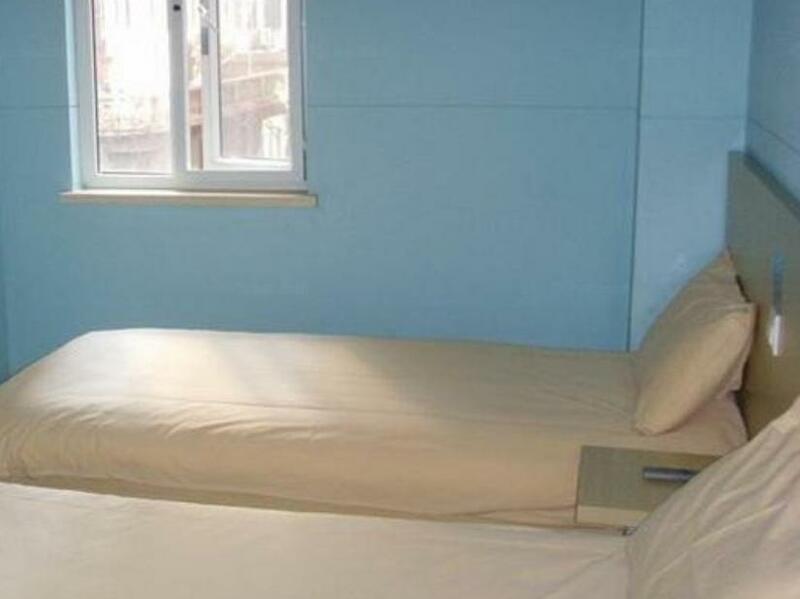 At the price of only about 8 dollars per night (included tax and discounts at the time), it places far ahead against hostels as it provides a whole private room and bathroom. Everything is quite new and very well kept. It is also in a very convenient location to travel around. My only complaint is the front desk is not much help to foreigners, but simple English and hand gestures will help you get through it. Tiny rooms and most of them have no windows, other than that this is was a bargain! 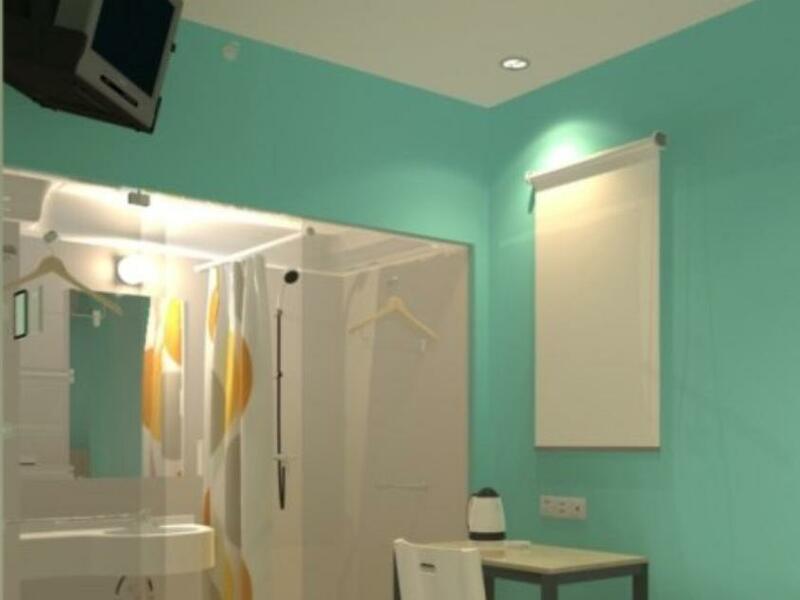 Clean, comfy, warm, daily housekeeping, tv with some english channels and good working wifi. Location is great too, you can walk everywhere and overall it has been a really nice experience. Recommended stay with Bestay, Clean hotel at good location but room is a little small. In between train station and bell tower. Washing machine available for use. We arrived late at night and after walking up 4 floors opened our room to find it completely dirty. It was obvious that the room had not been cleaned after a checkout. We walked all the way back down and through broken English tried to communicate that the room was dirty. one of the girls ran upstairs. I think they were going to try and clean it real fast, which we 1) didn't want to wait for and 2) didn't trust that a good job would be done. We asked for a different room and they gave my wife and I a room with 2 single beds. We complained that this was not what we booked and asked if all the rooms were open. She then booked us into another room that had a king size bed. It did smell like smoke which we didn't appreciate, but this being the 3rd try we were happy with what we got. I was bugged we didn't have our room ready and especially bugged that they tried to put us in a downgrade when another similar room was available. Other than the service, the place was what we expected based on the price. Good positioned hotel, but staff does not speak absolutely english! A bit difficult to be found it is generally a good place to stay speaking about a balance between price and quality. The only issue you can get is dealing with the receptionist guys there, who don't speak english very well! Good clean room. Location was close to shopping malls. You could walk to the bus station to catch the bus that takes you directly to the Terracotta Army museum. Which is why we where in Xian so really great location! No frills & comfy stay. Staff were helpful & able to advise on the local transport options. About 3 stops to city centre by bus. Overall a pleasant 4 nights stay here. Value for money and the location is good along the main street. Staffs are helpful too. The room is clean and has everything I need. Awesome place really good value. Great room spacious and nice. Fresh towels everyday although they are quite small. Walls are too thin we could hear people snoring and talking In other rooms woke me up at 5.30 am. But I would recommend it. Good place. The Bestay hotels are not luxurious but you always know what your going to get - a cheapish hotel, in an alright location, easy to book online with free cancellation, clean and comfortable. The bathroom was clean and with soap - although has see through glass. You can pull the shower curtain across to get some privacy but I wouldn't want to stay here with a complete stranger! Location was good. Staffs were friendly. Room size too small. I would not prefer a double decker bed but it seems all rooms are in such a way. Dont understand the negative vibe among reviews. I think hotel and room was fantastic for the price. Staff did not speak much english, but they know agoda (not all do), which made check in hassle free. Location is good also. I enjoyed staying there.